Woodside Capital Partners is a private equity company based in Burlington, MA. Their primary investment strategies/sectors are Manufacturing, Media, and Distribution. Woodside Capital Partners has $960 million in assets under management and has 8 employees. The company was founded in 2000. 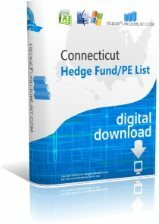 Woodside Capital Partners is a private equity company based in Hartford, CT and is led by its President, Scott Schooley. Their primary investment strategies/sectors are Manufacturing, Media, and Distribution. Woodside Capital Partners has $960 million in assets under management and has 8 employees. The company was founded in 2000. Winona Capital Management is a private equity company based in Chicago, IL and is led by its Managing Director, Dan Kipp. Their primary investment strategies/sectors are Consumer Products, Manufacturing, and Education. Winona Capital Management has $125 million in assets under management and has 7 employees. The company was founded in 2006. Winona Capital Management is a private equity company based in Seattle, WA and is led by its Managing Director, Luke Reese. Their primary investment strategies/sectors are Consumer Products, Manufacturing, and Education. Winona Capital Management has $125 million in assets under management and has 7 employees. The company was founded in 2006. Windjammer Capital Investors is a private equity company based in Waltham, MA and is led by its Managing Director, Costa Littas. Their primary investment strategies/sectors are Health Care, Manufacturing, and Consumer Products. Windjammer Capital Investors has $1401.714552 million in assets under management and has 9 employees. The company was founded in 1990. Windjammer Capital Investors is a private equity company based in Newport Beach, CA and is led by its Managing Director, Jeff Miehe. Their primary investment strategies/sectors are Health Care, Manufacturing, and Consumer Products. Windjammer Capital Investors has $1401.714552 million in assets under management and has 9 employees. The company was founded in 1990. Are Hedge Funds Still Hiring?